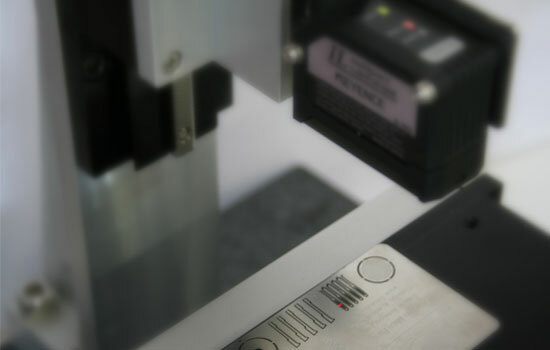 Angle Systems' Wafer Thickness Measurement System is designed to rapidly measure thickness on an array of wafers. 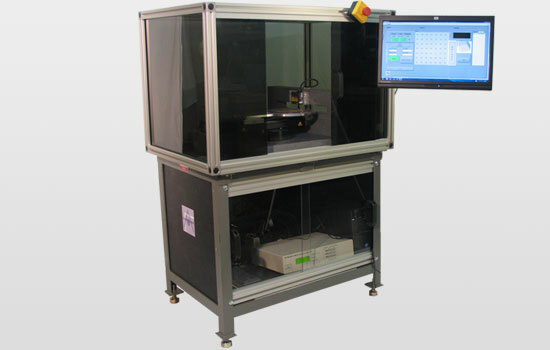 This is accomplished by differential measurement two laser triangulation sensors. 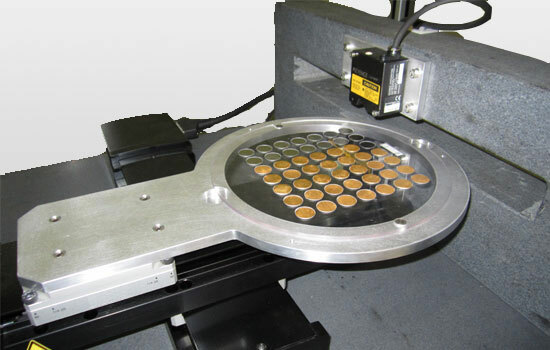 The system uses interchangeable trays so that wafers of variable diameters can be measured. 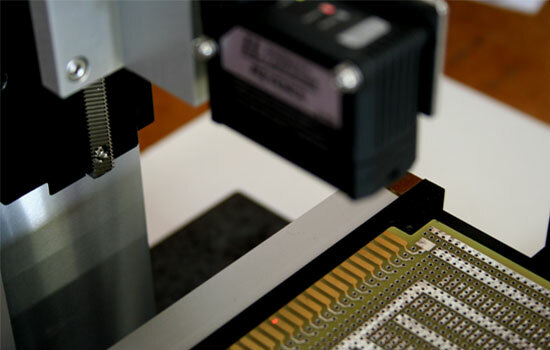 Programmable recipes are used such that wafers with different dimensions and measurement parameters can be inspected. 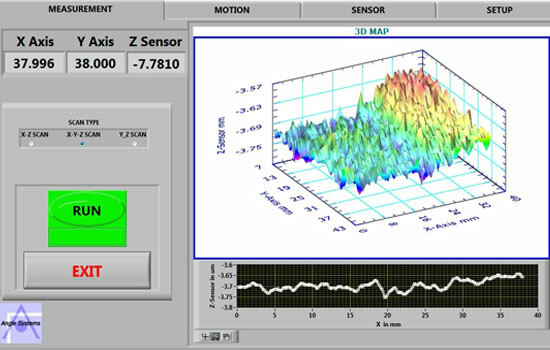 The system takes more than several data points (user defined) at various locations in order to determine the thickness of the wafer. 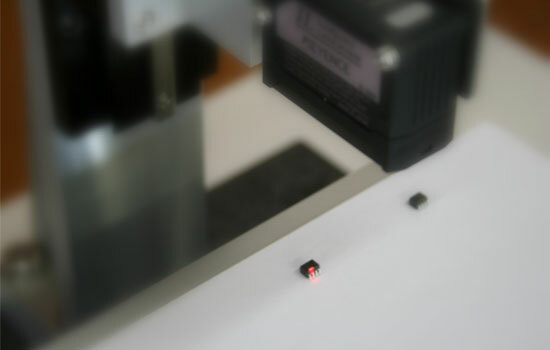 The number of points used for the measurement can be varied by changing the number of scan lines. 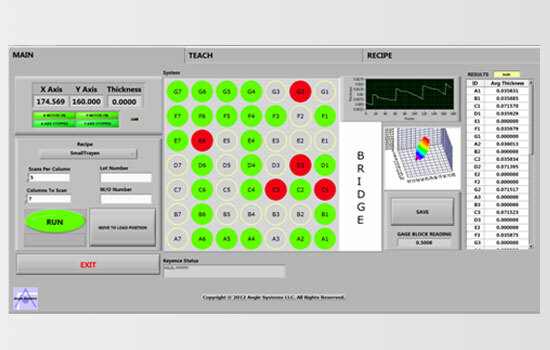 The numerical results are displayed alongside a map that identifies wafers to be in or out of tolerances. 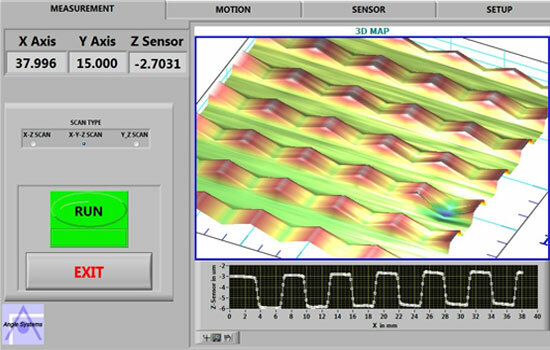 Individual wafer plots showing curvature can be used to identify and correct problems that might be occurring in the manufacturing process. 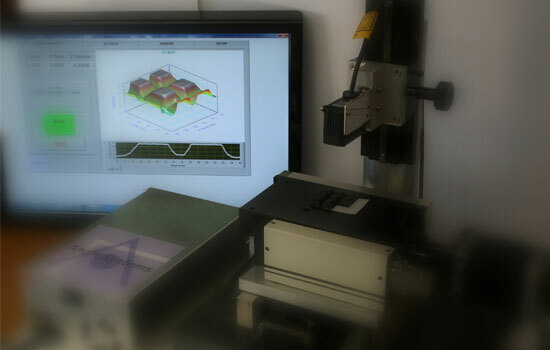 Self calibration of system using NIST traceable gauge block. 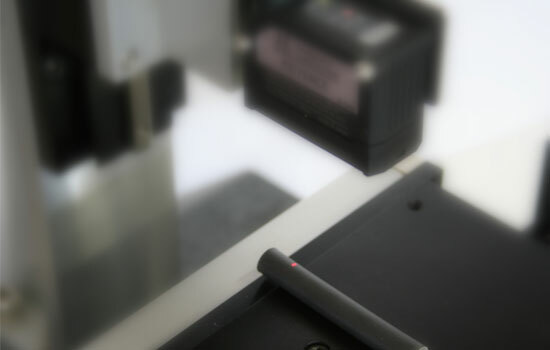 Angle Systems' 3D Laser Scanning System is based on scanning of objects using Laser Triangulation/Con-focal sensors. The X & Y axes are motorized with a travel ranges of up to 250mm and the Z axis can either be manual or motorized based on the specific application requirements. 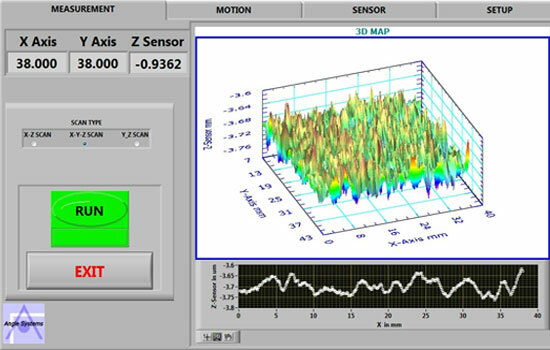 The system provides a 3D map of the object along with measurements of thickness, height and flatness depending on the type of application.